As Gary Vaynerchuk points out in this fantastic speech, for the first time in 150 years, social media has changed common marketing practices. It is no longer about attracting customers, but about retaining them. In a world with this much content and technology, people can now choose where and how they get their information, and what they want to avoid. Think about it: When was the last time you sat through a commercial while watching your PVR? When you have the choice, you will exercise it — and with the average American seeing 3,000 adverts a day, consumers are increasing turning their backs on traditional media and choosing alternative methods for finding products and services. Statistically, the average professional belongs to 3–5 online networks for business, so social media is primed for the new business model. By actively cultivating genuine and direct connections with customers, it achieves several things. It demonstrates the integrity of the brand and its commitment to the consumer. By illustrating that integrity, your customer and their networks will experience firsthand the benefits of dealing with your organization. By eliminating the need for higher-cost traditional media, it increases your bottom line and has better potential ROI. Although social media can be intimidating if you're new to the concept, the benefits are clear. The following points will help you get started. If you and your business aren't on social media, get on it. NOW. This minute. Develop a consistent presence on Facebook, Twitter, LinkedIn and Tumblr, if appropriate. This establishes credibility, as well as history for your targeted audience. Now that you have it, don't ignore it. You will get out as much as you put in. Start learning about your consumers; find ways that you can genuinely help them. Answer questions, find helpful information that's relevant to their needs; do whatever you can to improve their day. Interact — Don't Push! 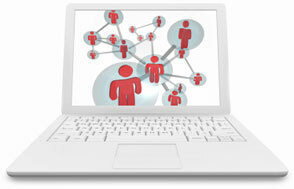 Forming relationships takes more than “follow us on Twitter” or “like my Facebook Page”. Pushing should not be the prime directive of your social media initiatives. Interaction is the most direct method of customer engagement, and is one of the most cost effective retaining methods available. Be yourself — honest, upfront, genuine, even quirky. Humanize your brand! A great example of this would be Zappos. They went from making $1.5 Million per year to a $1.2 Billion acquisition in under a decade, just by being themselves and keeping their customers' best interests at heart. In the end, social media becomes just another tool for you to reach your customers and grow your relationships with them. It is more efficient and direct than traditional marketing methods, with almost instantaneous results. In the end, it's the best brand management tool you could ever choose.